Ougi appears as a girl with short black hair, black pupils, and pale white skin and is a junior of Koyomi Araragi at Naoetsu Private High School, as Ougi refers to Koyomi as senpai. Ougi claims to be Meme Oshino's niece. In Hanamonogatari and Orokamonogatari, Ougi appears as a male. At the start of Kabukimonogatari, Ougi is seen having a trivial conversation with Koyomi about traffic lights, causing him to think about Mayoi Hachikuji. When Ougi meets Nadeko at the beginning of Otorimonogatari, initially appearing to merely want to tell Nadeko to stop playing the victim, it is later revealed that Ougi is the mastermind behind tricking Nadeko into becoming a snake god. Four months after Mayoi disappears, Koyomi has a conversation with Ougi in the classroom. After that, Ougi leaves by saying there is a lot of work to do. When Koyomi asks about the job, Ougi tells him it's basically work that involves punishing liars. Koyomi encounters Ougi on his way to North Shirahebi Shrine, who then states that they had been waiting there for him since morning to offer him some words of encouragement. When Koyomi says he doesn't regret turning into a vampire, they tell him that the reason they like him is because he is easy to twist around. As Koyomi walks off towards the mountain, Ougi tells him that at the cost of losing many things, he has matured. Gaen reveals that Ougi's true identity is Araragi Koyomi himself. She is an Oddity that Araragi created, similarly to how Hanekawa's stress created Black Hanekawa, and Sengoku's hallucinations created the white snake Kuchinawa. 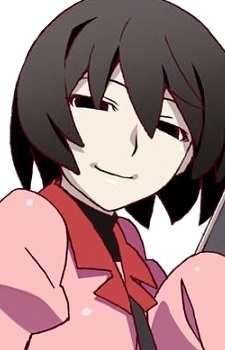 Ougi represents Araragi's self-criticism. When Araragi saw "Darkness" for the first time in Shinobu Time, he realized that there is a law dictating over the world of Oddity. Araragi knows that he is too weak, too hesitant, too emotional to make harsh decisions, and he subconsciously wished for a being that can judge him, and "correct" everything wrong in this world. His desire came true as Oshino Ougi. In Suruga Bonhead, it is implied that male and female Ougi might be different identities or are the same oddity but reshaped depended on who the "target" is. Male Ougi appears to "help" Suruga but also still works with Araragi as his helping hand. We're starting to learn more and more about Araragi's past in the latest episode of Owarimonogatari. We get to see him as a cute little kid too, which is nice.